Super Bowl is not just for grownups. 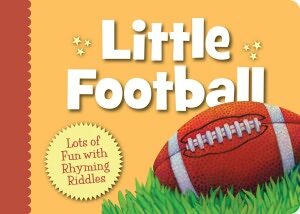 Watching the Super Bowl is fun and learning for kids too. Not all children will be interested, but some will have favorite teams and players. Here are a few ways that kids can be involved in this and other sports. numbers: Kids can learn numbers from player jerseys. colors: team colors cover the rainbow. 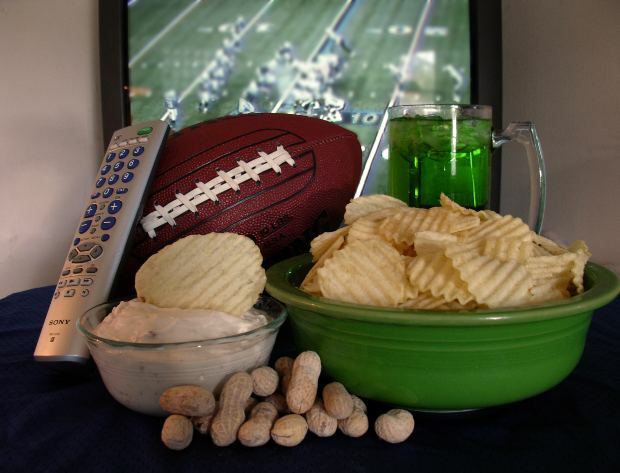 language development: There’s lots of conversations about Super Bowl and that stimulates kids’ language learning–but careful with some of the words! shapes: What shape is the flag for measuring for first down? How about the score board? What other shapes are there? opposites: Over-under, win-lose, up-down, in-out, behind-in front, happy-sad, black-white, big-little, go-stop, and I’m sure there are more. resilience: What do players do after they fall down on the field? They get up and try again. That’s an important lesson for anyone. attention/observing skills: Kids get to practice paying close attention to the action and observing carefully what’s happening. social skills: Being part of a team is a social skill. Kids watch adults being part of a team. emotional regulation: One of the big learning opportunities is how to handle winning & losing. Sometimes, this is hard for grownups. Learning comes in so many different ways–and disguises. We don’t even notice because these opportunities can seem so natural and ordinary. That’s how it should be. Not from flashcards and expensive programs, but from participating in what families and communities are doing. 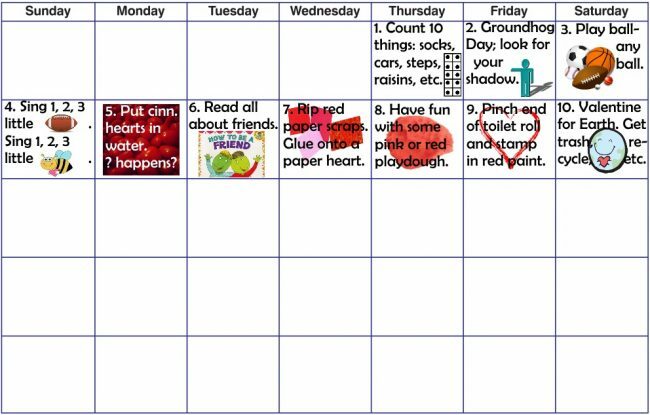 As parents and caregivers, we can use what’s happening to involve kids. Sometimes, during the Super Bowl, there’s as much action at home as there is on the screen. Perhaps, even more. Families and friends get together, hands are busy getting food ready to share, and the excitement just seems to grow. All of this and more is how the Super Bowl is fun and learning for kids. Will your family be tuning into the game? 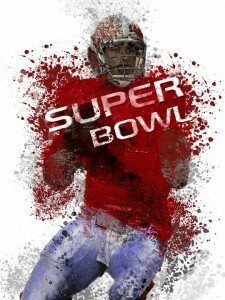 It’s almost Super Bowl Sunday. How about some Super ways to Play? Here are 1,2,3 plays-of-the-day for some fun inside or outside. It’s almost Super Bowl Sunday. How about some Super ways to Play? Here are 1,2,3 plays-of-the-day for some fun inside or outside. Kids might have some ideas, like a bowl that is never empty, or that washes and dries itself, or gets really big if somebody is super hungry. There are lots of words that we use different ways. Last week, a kindergarten teacher told her kids she had to go out for recess too because she had supervision. One little boy’s eyes opened wide and he whispered “You do?” She told him all the teachers had a turn to supervise the kids. His astonished look faded and he said “Oh, I thought you meant you had Super Vision.” Riddles and rhymes are fun plays on words too. Another way to play is Super Hero play. 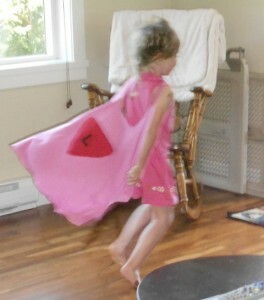 All kids like to imagine they have super powers, especially the power to fly. An old t-shirt, towel, or scarf can make a wonderful cape. Instead of tying a knot, the fabric can be scrunched up and held closed with an elastic band. Super heros can be either gender and get exercise for bodies and minds, as they move in space and solve problems. A super play that you can do every day is to read and share books and stories. Learning to read is the Super Bowl Challenge for kids and kids who have been read to at home start with an advantage. If one book is one yard, families that read to kids several times a week give them about 5,000 yards by the starting whistle–or school bell. Books are a key play, like this one by Brad Herzog and Doug Bowles. Play is super and is kids’ favorite way to learn. Is there some super play happening at your house?